Why Wat Jed Yod is special ? Wat Jed Yod ("Temple of the Seven Spires") is one of the city's most elegant sites, though it is located northwest of the center, beside the Superhighway. 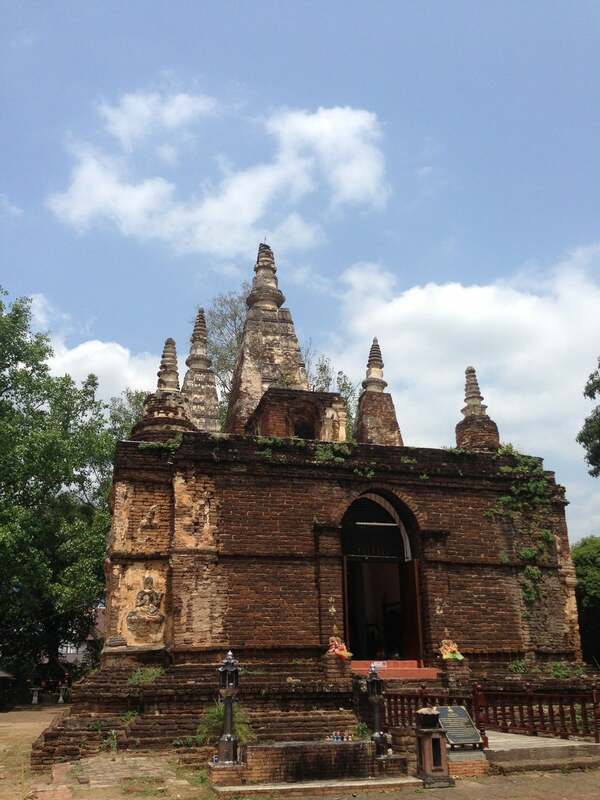 The chedi was built during the reign of King Tilokkarat in the late 15th century (his remains are in one of the other chedis), and, in 1477, the World Sangkayana convened here to revise the doctrines of the Buddha. 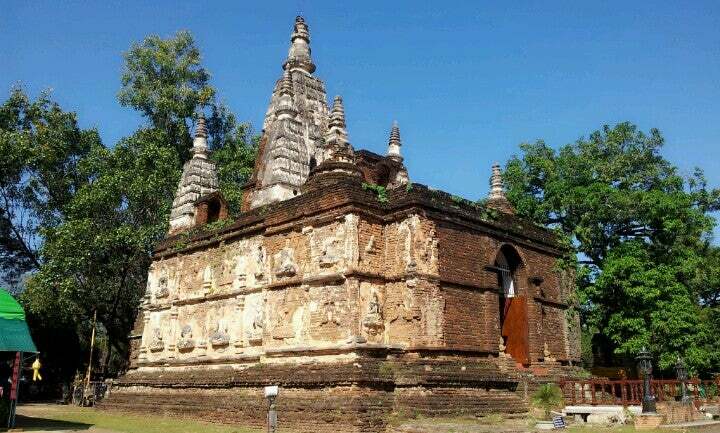 The unusual design of the main rectangular chedi with seven peaks was copied from the Maha Bodhi Temple in Bodhgaya, India, where the Buddha first achieved enlightenment. The temple also has architectural elements reflecting Burmese and early Chinese influences supposed to date back to the Yuan and Ming dynasties. The extraordinary proportions; the angelic, levitating devata (Buddhist spirits) figures carved into the base of the chedi; and the juxtaposition of the other buildings make Wat Jed Yod a masterpiece. 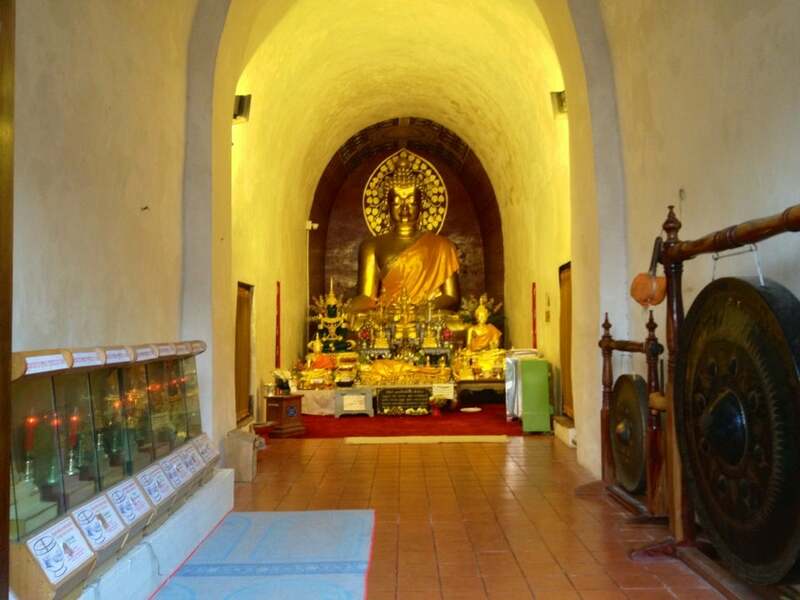 What to explore at Wat Jed Yod? 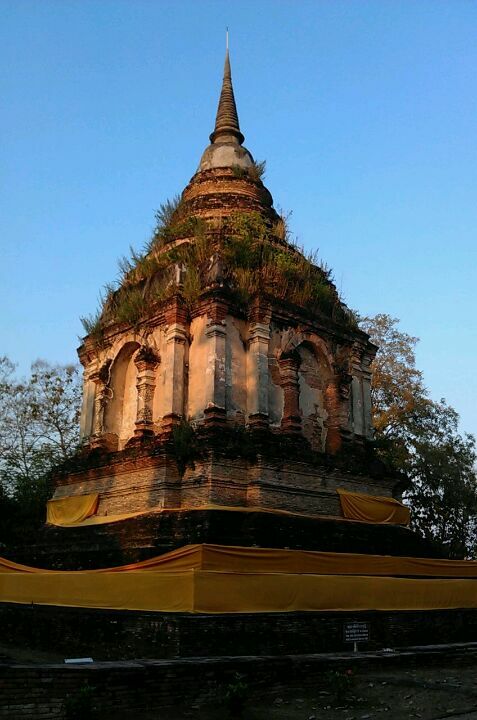 Highlight of the Wat Jed Yod is the viharn, where the temple derives its name from. Jed Yod means 7 peaks, referring to the 7 chedis on top of the structure. The viharn is built in a style completely different from the other Lanna style or more recent Rattanakosin style structures. It was probably modelled after the Mahabodhi temple in Bagan (Myanmar) or the Mahabodhi temple in Bodh Gaya in India, where the Buddha reached enlightenment. The outer walls of the viharn are decorated with 70 Thewada figures, a kind of celestial beings, in different postures. The bas reliefs are sculpted with a very high level of detail. While some of the figures are still in very good condition, some have unfortunately been damaged or all missing altogether. How to get to Wat Jed Yod? The Wat Jed Yod is located in the North West part of Chiang Mai city, around 2 kilometers from the old walled city center. The temple is found just North of the Chiang Mai to Lampang superhighway (Highway 11), a few hundred meters from the Chiang Mai National Museum. To get there, take a tuk tuk (agree on the price before setting off) or drive there yourself on a rented bicycle. The tranquil grounds with lots of shady trees and picnic tables make it a nice place for a few relaxed hours. Admission is free, although donations are highly appreciated. It's hard to find transport after visit. There is no Taxi, Song Tiao and Tuk Tuk nearby. For 20 baht, you can get your flowers, candle and incense for your oferrings. Despite being so close to Superhighway, it is very quiet and you can relax under the huge bo tree after you make merit. The Jed Yod Temple probably has more meaningful to Thais and Buddhists travelers. For other travelers, this temple gives a different structure of the Chedi that is a replica of the Chedi where Buddha was born. The base of the Chedi is a rectangular shape base with 7 spires on the top. 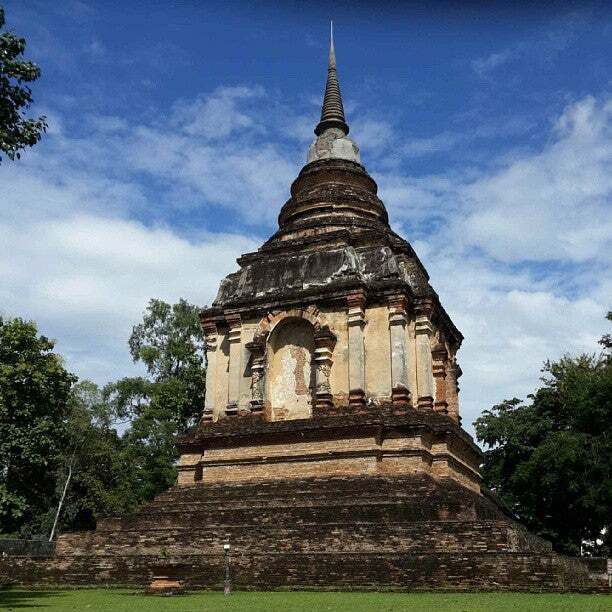 The Chedi is also house a main Buddha image of the temple and the ashes of King Ti-logaraja of Lanna Kingdom (Now Chiang Mai). I love the wall statues around the base because they represent Hindu gods which were popular in the that period of time. Plenty of things to learn and to read. Go in the late afternoon is the best because you can also witness the chanting and praying activities.